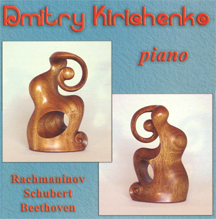 Dr. Dmitry Kirichenko brings his technical mastery and personal touch to history's greatest composers in these high quality recordings. Pieces from Haydn, Mozart, Beethoven, Schubert, Chopin, Liszt, Tchaikovsky, Debussy and Rachmaninov are presented for your enjoyment. If you wish information on ordering a recording of Dmitry please contact us on our contact page. 3. Rondo. 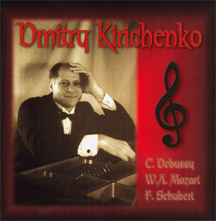 Allegretto moderato. Prestissimo.